We need your help identifying solvable problems! We invite you to submit a solvable problem to be considered for one of the collaborative action tracks at the next Global Engagement Forum: Live, a two-day event this fall that will bring together leaders from the private, public, and social sectors to develop cross-sector concepts that address urgent, yet solvable problems within the United Nations Global Goals. Many of the world’s most pressing challenges identified within the Goals are inherently solvable because solutions have already been tested and proven on a smaller scale. Join us. Submit your idea by February 28 and take on a new challenge. 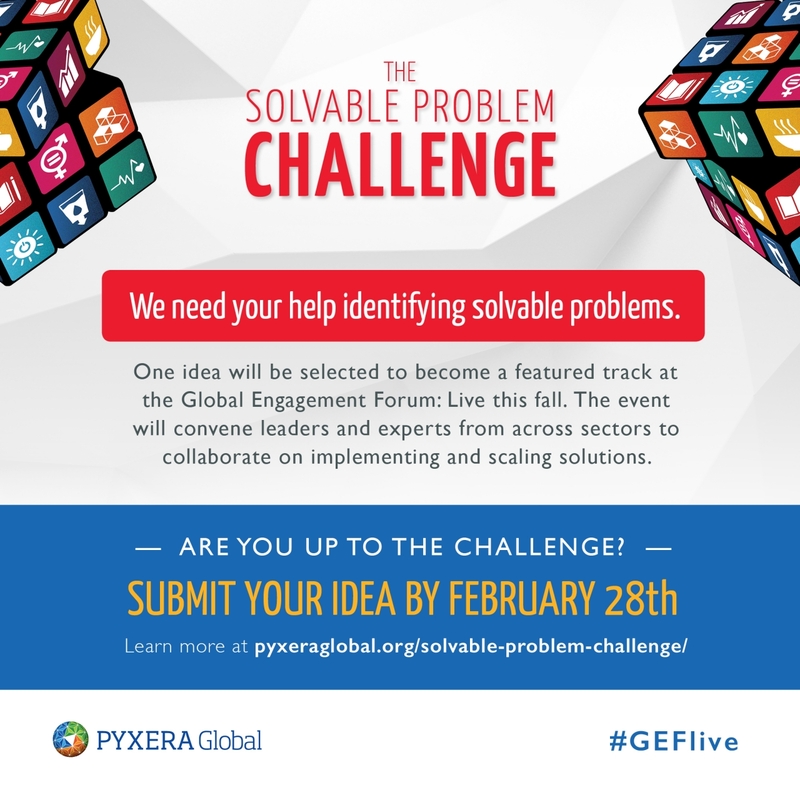 Learn more about the Solvable Problem Challenge here.